2016 has seen some interesting developments in the smart home space, with a strong handful of companies making us feel more connected to the gadgets and appliances in our houses. 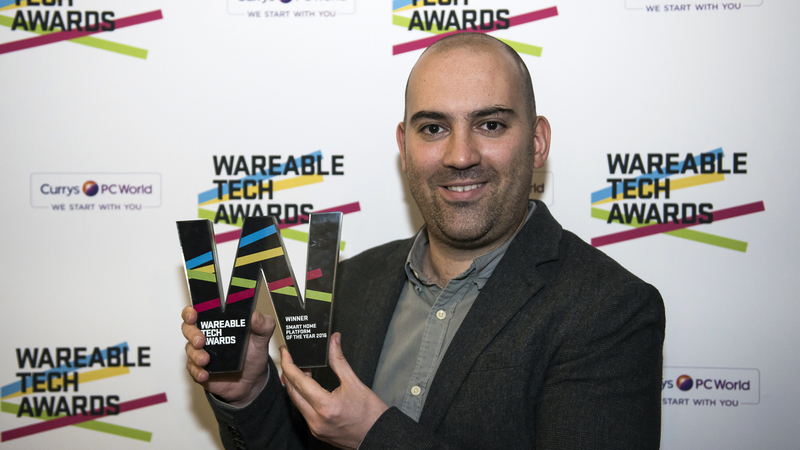 At our inaugural Wareable tech Awards, the category for Smart Home Platform of the Year was made up of some big names you'll certainly recognise, all of which have made meaningful contributions to the connected home in the last year. Nest and Hive have gone from strength to strength with their smart heating systems, Netatmo has brought more focus to the healthiness of the home, and Samsung has made a significant push in IoT with SmartThings. But it was Amazon's Echo & Alexa that we believed deserved the top prize. While it might not (directly) turn up your heating or make your morning coffee, Amazon's smart home assistant has proven adept at pulling together all the devices that do these things. It helps to make the smart home feel like less of a confusing mess of brands and platforms, giving you control of your devices, be it your Nest thermostat or Philips Hue lightbulbs, all with incredible ease. The Echo and Echo Dot have become welcome devices in our home, and the Alexa assistant a familiar voice. From telling us the weather forecast to reading out the news headlines, Alexa performs many tasks that don't feel gimmicky but actually useful. There are certainly still limits to what she can do, but it doesn't feel like anyone else is doing the smart home assistant this well right now. It also helps matters that the latest Echo, the new Echo Dot, is a beautiful little device we're happy to have seen in our home. The Echo's other big strength is all the devices it's compatible with, along with the library of available skills that can be installed. From power outlets to thermostats to lighting, Alexa can talk to the smart devices around your home. Or, she can just order you an Uber. We also want to give a shoutout to our Highly Commended winner, Hive. We've been really impressed with the strides Hive has made this year to an already strong platform. The Hive Active family of lights and thermostats has helped make the prospect of smartening up the home much less daunting, thanks to its simplicity, and the added support of IFTT has helped make it only stronger. We imagine next year's Smart Home category is going to be even more difficult to pick our winners from. You can also see how we chose our winners for Hearable of the Year, Wearable of the Year, Fitness Tracker of the year, VR headset of the year, and Sports Wearable of the year.